The Low Bed 800 was specifically designed for Long Term Care, Rehabs and Nursing Home use. This bed offers two widths in one easy-to-operate bed unit. The slide feature can transform the width of the bed from 48 inches to 38 inches. This dual function beds can be used as a gurney for easy transfer through doorways and emergency evacuation. Featuring Linak™ motors which allow for smooth and quiet dynamic movement without disturbing a partner or surrounding residents. The Foot section does not pitch down, but plateaus to reduce edema of lower extremities. 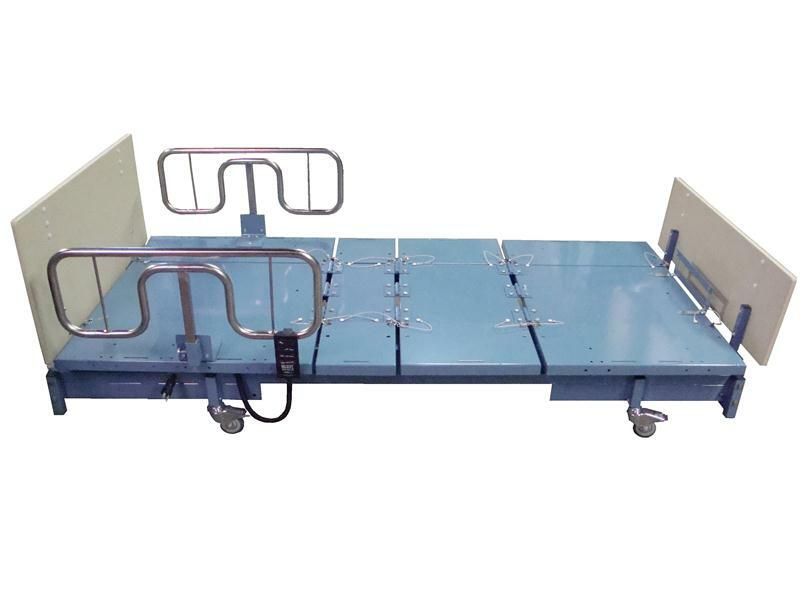 Low height full electric beds have DC motors for the head section, foot section and overall height. Extra weight capacity bed features multiple positions, and independent head and knee gatch for personalized positioning. All electronics are completely enclosed, and fully grounded with hospital grade 3 prong heavy duty plug and cord. Electronics and motors UL listed, 115 volts. Remote features 8 button control for all functions, is low voltage, and has a high impact resistant case. 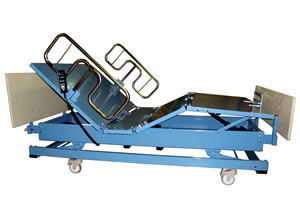 Optional bed mounted trapeze, heavy duty side rails, and integrated digital scale are also available. Multiple Positions Include: Trendelenburg, reverse Trendelenburg, cardio chair. Independent head & knee gatch for personalized positioning. The Comfort Mattress features multiple layers of foam to provide a 6” mattress that has a density and other qualities to provide patient comfort and pressure reduction. The mattress comes with a durable water resistant cover, and can be placed directly on the hospital bed frame. Ventrex ticking (#1 leading hospital mattress ticking in America). 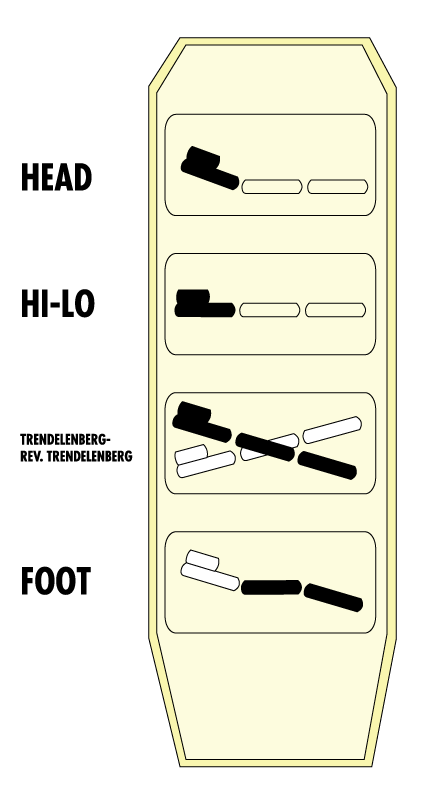 Mattress is considered pressure reducing group 1 by medicare’s standards. Mattress is guaranteed to crush no more than 50% to prevent bottoming out. Low Position 10" High Position 24.5"
1 Year For Electrical And Mechanical Components, 5 Years For The Bed Frame. 1 Year On Mattress And Mattress Cover.